Forest School is located next to 6,000 acres of ancient woodland and London’s largest open green space, Epping Forest. Due to its stunning location on the edge of the forest, the School has become a popular venue for weddings, Christenings, parties, conferences, corporate events, filming and theatre productions. Our dedicated Events Team is committed to ensuring each event is tailored to the customer’s requirements. We understand each wedding is unique so every occasion is tailor made to cater for each couple’s dreams and wishes – no two celebrations are ever the same. Our Grade II listed picturesque Dining Hall could be the perfect setting for your big day. 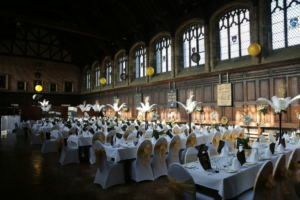 Seating 150 the Hall, which dates back to the 1850s can help you create special memories for you and your loved ones. We can host and arrange all types of functions and celebrations all year around from birthday parties, engagements, Christenings, family gatherings and so much more! 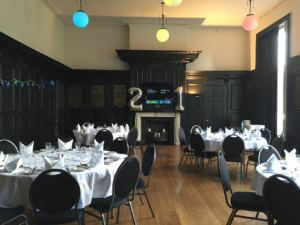 The Upper Library, set in the heart of the School, can be the perfect place for your celebrations. With great features including a large screen and dance floor, it can help a truly memorable day for you and your family. 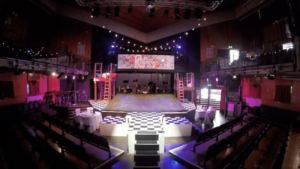 A multi use performance venue suitable for productions, award ceremonies, festivals, conferences and concerts. Theatre facilities include reconfigurable seating, a green room and a single dressing room. The theatre is regularly used for School productions during the year, but can be booked during the summer and selected nights of the year. Forest is located just 20 minutes from London Liverpool Street and a 25 minute drive from Canary Wharf. 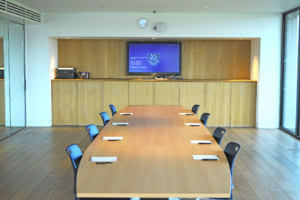 Therefore, it is the ideal place for a conference, business meeting or away day from the office. Our dedicated Catering Team will be ready to serve a delightful selection of canapes, sandwiches and other menu options all freshly prepared on site. Forest has proudly featured in a number of big screen pictures, including Never Let Me Go starring Academy Awards nominee Keira Knightly. With the School’s mix of traditional and modern buildings, it makes a great location for filming or photo shoot. 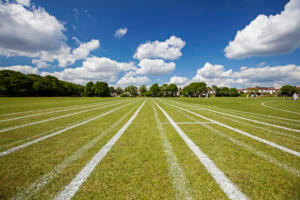 Our state-of-the-art sports facilities include a sports hall with four badminton courts, a gymnasium, two permanent indoor cricket nets with video analysis technology, a 25m indoor swimming pool, a recently refurbished fitness suite, a full size all weather pitch, netball courts, eight football pitches and a dance studio.